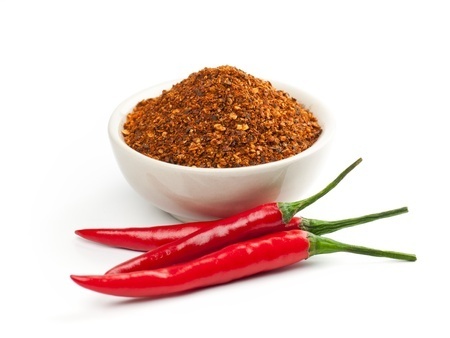 The word 'cayenne' is thought to be a corruption of the word quiínia (also sometimes spelled kyynha or kynnha) of the Old Tupi language once spoken in Brazil, which means pepper (thus 'cayenne pepper' means 'pepper pepper'). It is probable that the place Cayenne in French Guiana was named after the peppers, not vice versa, although it is commonly claimed that the pepper was named after the city. Nicholas Culpeper, for example, uses the word 'cayenne pepper' in 1652, and the city was only renamed as such in 1777. It also is possibly named for the Cayenne River. Culpeper, in his Complete Herbal from 1653, mentions cayenne pepper as a synonym for what he calls "pepper (guinea)"[note 1] By the end of the 19th century 'Guinea pepper' had come to mean bird's eye chili or piri-piri, although he refers to Capsicum peppers in general in his entry. In the 19th century, modern cayenne peppers were classified as C. longum, this name was later synonymised with C. frutescens. Cayenne powder, however, has generally been made from the bird's eye peppers, in the 19th century classified as C. minimum. Cayenne peppers are long, tapering, 10 to 25 cm long, generally skinny, mostly red colored peppers, often with a curved tip and somewhat rippled skin, which hang from the bush as opposed to growing upright. There are many specific cultivars, such as 'Cow-horn', 'Cayenne Sweet', 'Cayenne Buist's Yellow', 'Golden Cayenne', 'Cayenne Carolina', 'Cayenne Indonesian', 'Joe's Long', 'Cayenne Large Red Thick', 'Cayenne Long Thick Red', 'Ring of Fire', 'Cayenne Passion', 'Cayenne Thomas Jefferson', 'Cayenne Iberian', 'Cayenne Turkish', 'Egyptian Cayenne', 'Cayenne Violet' or 'Numex Las Cruces Cayenne'. Although most modern cayenne peppers are colored red, yellow and purple varieties exist, and in the 19th century yellow varieties were common. Most types are moderately hot, although a number of mild variants exist. Most varieties are generally rated at 30,000 to 50,000 Scoville units, although some are rated at 20,000 or less.